TriMet’s Board of Directors welcomes three new members following nomination by Oregon Governor Kate Brown and confirmation by the Oregon Senate. The new directors will represent north, northwest and southwest Portland as well as Clackamas County. The new members bring a wide range of experience and expertise in community involvement, construction, labor, business and education. Osvaldo “Ozzie” Gonzalez will represent TriMet District 2, which spans portions of north, northwest and southwest Portland. 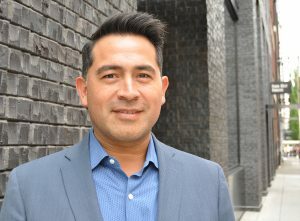 Gonzalez has particular knowledge of TriMet as he has worked on capital projects with the agency since 2011, providing professional design services through his role at CH2M, and in his role as Director for Diversity for Balfour/Howard S. Wright, a prime general contractor. Gonzalez has a long-standing history of service in the community. He is a founding member of the US Green Building Council’s LEED User Group for Industrial Facilities, President of the Jardín Portland Foundation. Ozzie serves on the boards of the Regional Arts and Culture Council, the Oregon Association of Minority Entrepreneurs and the Hispanic Chamber of Commerce. He holds a Master’s Degree in Architecture from California Polytechnic University in Pomona and a Bachelor’s Degree in Environmental Science from Humboldt University. Ozzie and his family regularly use TriMet and the Portland Streetcar. Keith Edwards, a long-time Portlander and pioneer in the labor community, will represent TriMet District 5, which covers portions of north and northeast Portland. During a 44-year career as a union electrician, Edwards broke many barriers and achieved leadership positions in the International Brotherhood of Electrical Workers (IBEW). He became the first African-American elected as business manager of a construction local in IBEW history, was the first African-American to serve as a member of the National Joint Apprenticeship and Training Committee and co-founded the Electrical Workers Minority Caucus (EWMC) of IBEW Local 48 in 1974. He is the current president of the International EWMC and has served as such since October 2014. 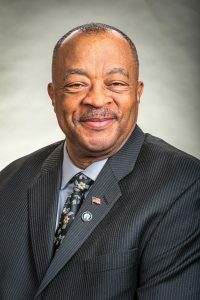 Edwards was only the second African-American appointed to IBEW Local 48’s Executive Board, and the first African-American to be hired business representative of local 48. He also served as an international representative for IBEW’s Ninth District. Edwards is a community activist and has been involved with the Coalition of Black Men, the Metropolitan Alliance for Workforce Equity and the NAACP, where he has served as president of the Portland chapter. He served on the Board of the Columbia-Willamette United Way and was a co-founder of Construction Apprenticeship Workforce Solutions, an organization formed to enhance the construction workforce through diversification, serving as its first president from 2005-2008. Edwards also served eight years on the Oregon Electrical & Elevator Board under governors Barbara Roberts and John Kitzhaber. Kathy Wai, TriMet’s youngest ever Board member, will represent TriMet District 7 in Clackamas County. Wai has worked in community-based organizations for more than a decade with expertise in community engagement and policy advocacy. 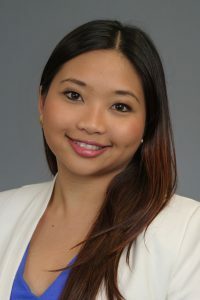 In her current role as Field Director for the Asian Pacific American Network of Oregon (APANO), she works to improve health and economic outcomes for diverse communities. From 2009-2012, Wai served on the APANO Board of Directors. In addition to her new role on the TriMet Board of Directors, Wai serves on the North Clackamas School Board and the NARAL Pro-Choice Oregon PAC Board. Born in the Southeast Asian country of Myanmar, formally known as Burma, Wai immigrated to the U.S. with her family at the age of six. A first-generation college graduate, she attended Portland State University and St. Mary’s Academy, traveling to and from school on TriMet. She’s lived in Clackamas County for the last 15 years. Wai received The Asian Reporter’s “Exemplary Community Volunteer” award in 2010 and a “Spirit of Portland: Equity in Practice Partnership” award from the City of Portland for integrating refugee youth and families into Sunday Parkways, an annual event which promotes healthy active living by encouraging Portlanders to walk, bike, roll, and discover active transportation in their neighborhoods and public spaces. The new members join Board President Bruce Warner and directors Linda Simmons, Lori Irish Bauman and Travis Stovall. TriMet wants to thank outgoing directors Dr. T. Allen Bethel, Joe Esmonde and Craig Prosser for their many years of service and dedication, not only helping the agency determine priorities and strategies but always focusing on the needs of our riders. TriMet’s Board consists of seven Directors who are appointed by the governor. They set policy for the agency as well as appoint the general manager, implement legislation pertaining to transit operations and review and approves certain contracts. Board members are volunteers and can serve up to two, four-year terms; however, they serve at the pleasure of the governor and can continue to serve until a successor is appointed. For additional information about the TriMet Board, visit http://trimet.org/about/board.